The restrictions were imposed in Rainawari, Nowhatta, Khanyar, M.R.Gunj and Safa Kadal in the old city area while partial restrictions were put in the uptown Kothibagh area. SRINAGAR: Authorities in Jammu and Kashmir on Friday imposed restrictions in parts of the Srinagar city to prevent the 10th Muharram procession, police said. "The restrictions are preventive in nature and have been imposed to maintain law and order," an officer said. Since 1989, authorities have not allowed the 8th and 10th Muharram procession here due to security reasons. 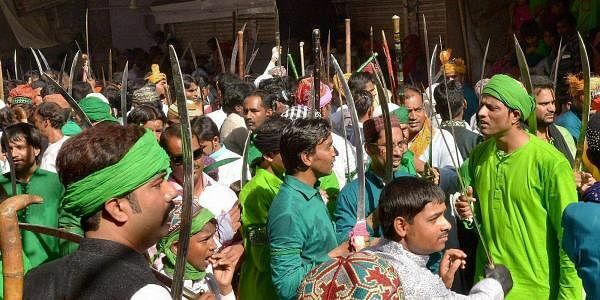 Shia Muslims carry out mourning processions on the 10th day of the Muharram month to commemorate the martyrdom of Imam Hussain, grandson of Prophet Muhammad .